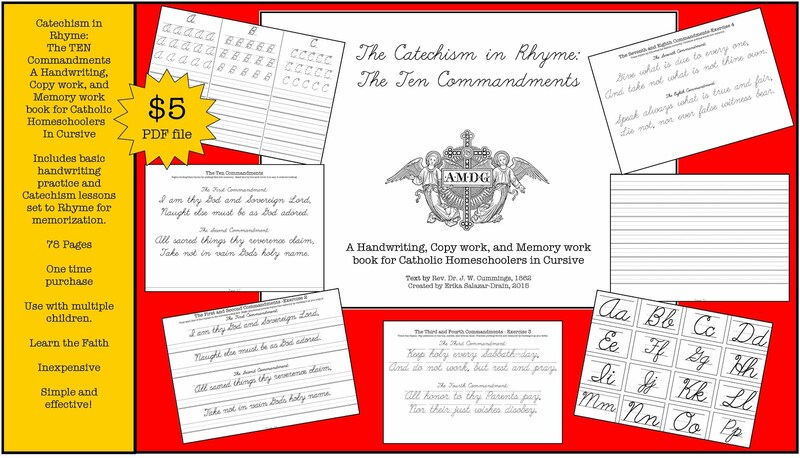 I so totally love this new website and can see it as a major part of our research for our school, Cor Iesu Academy! I love the little slide presentation, how it has the text at the bottom that is being read aloud....so not only can my 7th grader look up information for things he is studying but my emergent readers, my four and five year olds can also benefit from this cool site! They even have information on saints and the Church (hopefully accurate) ;) Here is the one for today's Feast Day: Saint Francis de Sales, Enjoy! Here is all the information for the chore chart. We call it the Little Way Chore Chart because it was St. Therese that said that God does not look at the greatness nor the difficulty of your actions but at the love with which they are done. She also said that if you pick up a pin with love, you can convert a soul. So, that has been our focus for the past few years. Charity in everything. The purpose of the chart is to train their will and everything else I mentioned before. I started with the things I repeat twenty times a day, every day. You can obviously add lines to match the number of kids you are including in the chart and change the chores to fit your home. As these chores become habits, revise your chart. When you revise your chart, the old chores still need to be performed. Hopefully, by then, they are a habit more than a chore, which makes room for new chores on the chart. They get a star push pin on the chores that get done without my asking. They get a red push pin on the chores that get done after I ask them. They get no pin on the chores that do not get done. The time in each section is the cut off for each chore set. After that time they can only get a red pin or an empty space. For every section of the day completed with only with stars they get a ticket. For every section of the day completed with some red push pins they get a good job comment. For every portion of the day with spaces without pins, they owe me a ticket (after they chart has been in place for a while and only for the older kids ). Whatever they have not completed by the time school starts, they have to complete during the break, after their snack but before they go out to play. If they want a ticket, that is. They can cash in their tickets for different rewards (you know your kids best so assign different ticket values to different motivators). They can also cash in their tickets for gifts for their sibblings. (In bold because I love when they do this!) For example, we do 5 tickets for 30 minutes on the computer playing games. 10 tickets to pick a movie from Netflix for a family movie night with popcorn. 5 tickets to earn back a silly band that has been confiscated by the authorities. 40 tickets for an afternoon out with mommy or a dinner date with daddy. 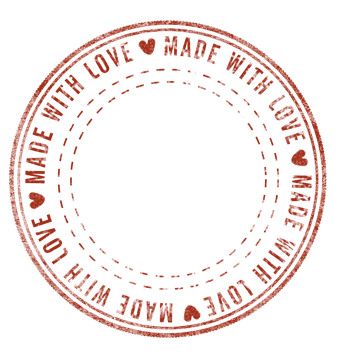 We also have small crafts from Jo Ann or Michaels and other trinkets that they can get for themselves or get for their sibblings as gifts. I print these out on legal paper and staple them to a thick corkboard (I use floor soundproofing cork, it is nice and thick so the pins go in easily and stay put). I have decorated ours with pictures and quotes from St. Therese of the Little Flower. My kids can relate to her right now and she is our companion saint for this year. They have a small box with pins so they can tack off their chores as they complete them. I have also stapled envelopes at the bottom to hold their tickets. That way it is all in one place. I do have to say that you must follow through with the rewards and the punishments for it to work. If you are not on top of the ticketing, they will lose interest. Set a ticket counting day for the month/week. Take out your calendar and your reward chart and let them cash in their tickets. Whatever appointments you mark on that calendar for rewards, make sure you stick to them. I hope this helps you guys as much as it has helped me, if not more. You know your kids best so remember to fine tune it to meet your family's needs. 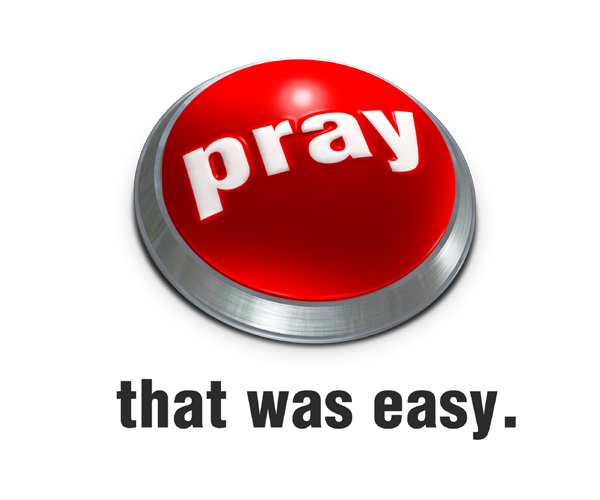 Raising (& Teaching) Little Saints: Papa Ben's Prayer Intentions: "2011 Like what you see? Feel free to grab them and use them on your blog or web page, just remember to give us ..."
In case you missed Part I, here it is. Here are a few things we have been doing in the past two years in order to address these Mother Hen needs. 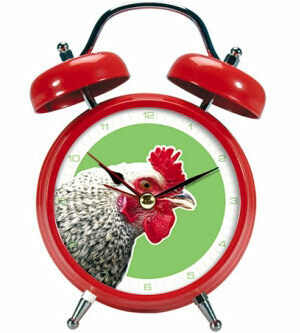 First, I scheduled a wake up time. If they were tired in the morning, that only meant they would appreciate their bed time a lot more. After a few days of waking up at the same time, they adjusted nicely. Second, The Little Way Chore Chart was born! A system built around St. Therese of Lisieux’s Little Way. A chore chart that teaches self-motivated industry, love for others, accountability, diligence and humility at the same time that it teaches them to run a house efficiently. It also teaches them the value of things. They earn tickets to cash in for different rewards either for themselves or to gift to their siblings. They can see immediate repercussions on the family if they miss a chore or do it poorly. They can also see their progress through the week right on the chart. (We’ll add a separate post that goes in to the details of the chart and the files themselves in case you would like a copy of it.) It includes grooming, house chores, prayers, chores which relate directly to other family members, school work, and bonus stars for helping mommy and doing things with a good attitude. It is very simple and they keep track of their own progress. This also develops a sense of honesty and honor. The fourth and last great change we made was the institution of uniforms for school days. Yep, you read it right, uniforms. This year I decided that the fashion show was highly overrated. I had also not had my laundry epiphany yet so the less laundry I had to do, the happier everyone at home would be. Now, getting dressed in the morning is joyful and efficient. There is no more looking for shoes to match or the other sock that goes with that outfit. No need to change from the dress to the shorts before going out to play. I don’t even care if they get grass stains or paint drips or holes in their pants. These are their uniforms and they were instituted for that purpose. It is carefree attire to be worn all day, no matter what the circumstances and I LOVE IT! So in short, I have found freedom in structure. I have found peace in schedules. I have found growth in training my will to stick to this new way of home schooling so I can train my children’s wills. I have found that even with all the planning we do and all the scheduling we do, there are those days, sometimes weeks, that are just impossible and everything falls apart. However, I have also found that because I now have a plan, a solid base to go back to, it is a lot easier to get it all back in order and start over. So the Ortiz Free Range Chicken Home School, is now measured and structured and we have more freedom to do the things we want to do because all the things we have to do have already been done. All with God’s grace, always!! They have done a great job with these...I'm posting them on FB all the time as I have lots of family and friends who don't understand the Church as it truly is...a great way to evangelize and open channels of communication with others...so spread the word! 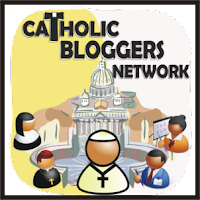 I found this fantastic article entitled: Seven Quick Takes: How to Foster Vocations and thought that our RLS followers would also enjoy it. My favorite suggestion has to be the one that says to stop asking children what they want to be when they grow up and instead ask, "Who is God calling you to be?” We don't push for the religious life at our home **wink** (though deep in me I'd be the happiest mother in the world if all of our children became priests and nuns; though DH says he'd like one boy to keep the family name going), but instead we are active about discussing this as an option, just like marriage. So in today's post, I'd like to focus on promoting vocations to the religious life. 2. We are friendly with our priests and make it a custom to say hello and encourage the children to speak with them as well. We also invite priests over for dinner (which reminds me we need to invite our new associate to dinner-wonder what his favorite is?). 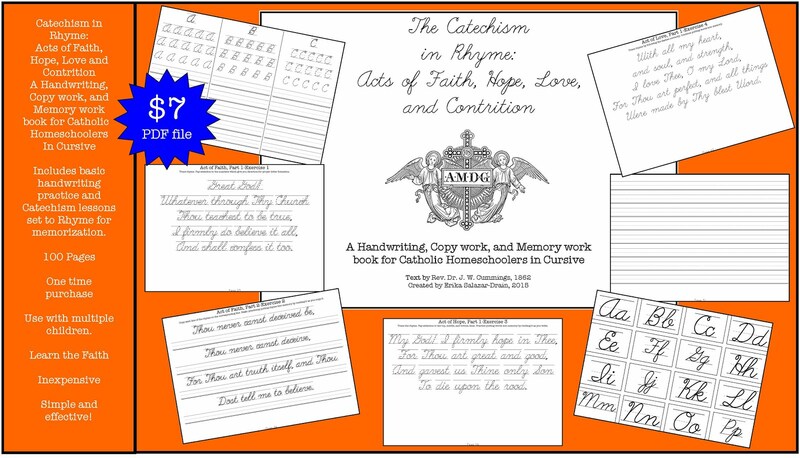 We encourage the children to draw pictures or make them simple cards through out the year and for special days. 3. 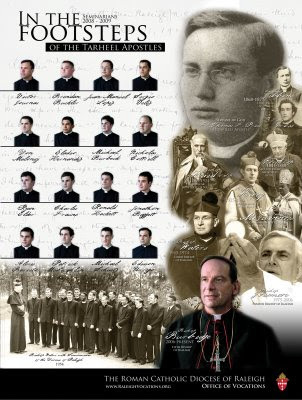 We have a card that our Diocese publishes with the names and pictures of all the seminarians in our Diocese. This card sits at our Home Altar and we say special prayers for them to Our Lady of Perpetual Help as we have commend them to her guidance and aide in these difficult times of our Mother Church. 4. We use technology to promote vocations. For example, we love to pray the Rosary with a DVD of Mother Angelica and her nuns...my kids have asked (especially my daughter) tons of questions while watching them pray the Rosary. We also love to surf the internet and find recordings of Ordinations and Solemn Professions. 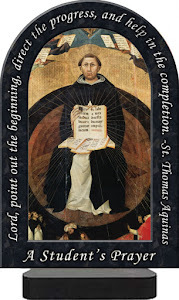 =) Movies/videos of the lives of Saints (religious or not) is also another great way to discuss vocations. 5. We have this really great book called, Could I Paint the Sky (a book I reviewed on CatholicMom.com)...which talks about how you can discern the vocation God has in store for you...again, "who is God calling you to be?" 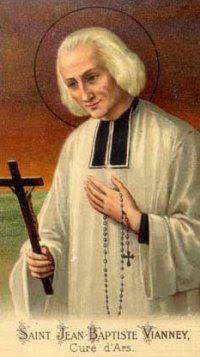 Have you prayed for our priests and for the increase of vocations? 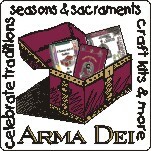 Maybe this could be something your Domestic Church would like to take up for the new year? So tell us, how do you foster vocations in your homes? For me, home schooling was about pride for a long time. We were going to do everything differently from schooled children, every day, and all the time. There was no way I was going to teach my children like school systems teach or keep such a tight schedule. We will school in our pajamas and we will wake up when our body is ready to wake up! We will go on field trips at least once a week! We will do arts and crafts every day! Free range chickens vs. those chickens in those super crowded, mega sized coups. We are free range chickens!!! At least we were until I realized that we are not. The Ortizes have needs that free range chickens don’t have. By the Ortizes, I mean the mother hen (the rooster kinda goes with the flow most of the time when it comes to home schooling issues. He mostly steps in to discipline when called upon by a frantic mother hen). 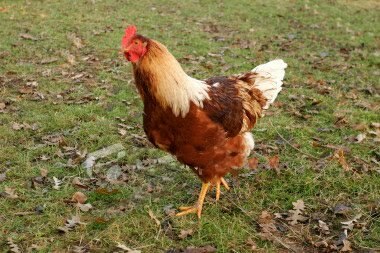 Two years ago I gave in and took another look at my Free-Range Chicken Philosophy. Even though we were getting all our schoolwork done, there was an overall feeling of chaos throughout the day. From meal planning to lesson planning to crisis management, it was all improvised. Realizing I have three girls who changed outfits at least three times every day and, later, a son that actually required changing outfits at least three times a day forced me take another look at the Freedom of Attire Policy in our home. Having four children wake up at different times of the day meant they would get hungry at different times of the day so the Letting Your Body Wake Up When It Is Ready Policy started losing popularity. We were struggling with diligence and willingness (with a good attitude) so the Get Your Chores Done Any Time Before Bedtime Policy got sent to editing. Spending one whole day out of the house every week started to mean spending one whole day packing and preparing for the next day, so the One Fieldtrip a Week Policy got in line for the axe. At about the same time, a dear friend kept saying that we must train our children’s will so that they don’t have the same internal struggles that we do. Another friend, kept mentioning the importance of actually being at home. 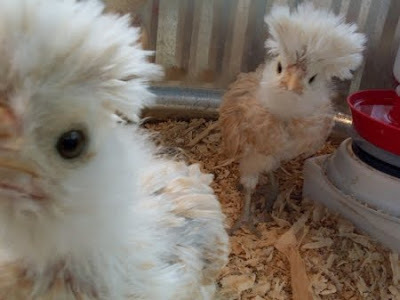 I tended to agree with all they were saying and yet, it just did not occur to me that these were essential for a joyful home schooling environment in my Free-Range Chicken world. Then one day, it did and the idea of a big modified and highly efficient coup for my free range chicks started to grow on me. I started looking at what other people were doing in their homes. Two of my closest friends, Mimi and Christine, had just come home from FPEA with Accountable Kids’ chore tabs which the children switched from one wooden peg to another as they completed them. I thought they were amazing! Another friend, Theresa, had passed out a list of age appropriate chores at one of our mom meetings. I was awed by what she proposed little ones could and would do. At our Little Flower’s meetings lead by the most awesomest ( yes, that is a world if you really mean it) LF leader on earth (yes, you are Jenny) the kids were learning about self-motivated industry, humility, love of neighbor, love of God and many other great virtues. The wheels started turning in my head: How can I implement all these great things without sending my free-range chickens into shock? What to do about all those outfits the girls seem to need to change into every day? How does one train a will exactly? How do I reinforce everything they are learning at Little Flowers at home, constantly? In the meantime, did you have an epiphany about the need for an organized Domestic Church/Homeschool? If so, what triggered it for you? (just don't tell us what you did just yet - save that lovely comment for Part Deux of this post)...come on, don't be shy! 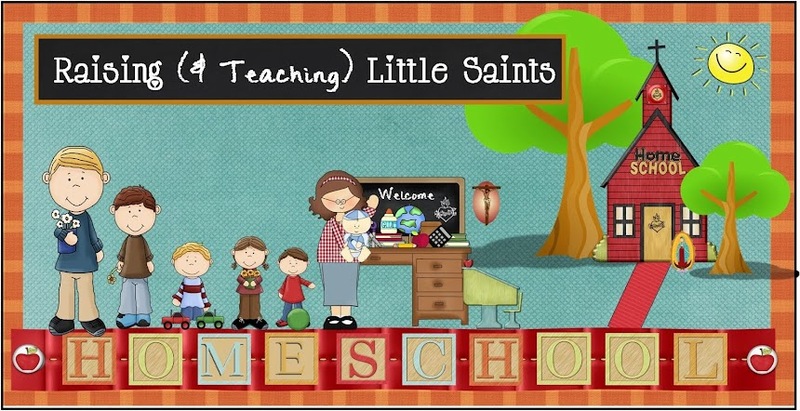 Take a little visit to this Catholic Homeschooling Blogging Mama who is Raising Little Saints just like you and me! Enjoy! "Abby Johnson quit her job in October 2009. That simple act became a national news story because Abby was the director of a Planned Parenthood clinic in Texas who, after participating in her first actual abortion procedure, walked across the road to join the Coalition for Life. 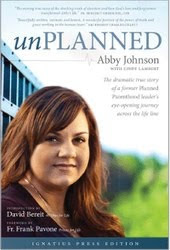 Unplanned is a heart-stopping personal drama of life-and-death encounters, a courtroom battle, and spiritual transformation that speaks hope and compassion into the political controversy that surrounds this issue. Telling Abby's story from both sides of the abortion clinic property line, this book is a must-read for anyone who cares about the life versus rights debate and helping women who face crisis pregnancies." The book has a foreword by Father Frank Pavone from Priests for Life and the introduction was written by the director of 40 Days for Life, David Bereit. This book is getting a lot of attention (from both sides)...for those of you some way involved in 40 Days for Life (like I am), it's a must read! I can't wait to get my hands on a copy myself! Happy Feast of the Baptism of the Lord! 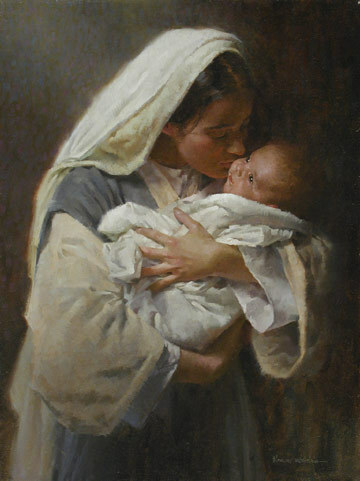 I know, he was baptized as an adult not a child but isn't that picture just lovely? LOL! So this year we are starting a new family tradition where we will celebrate BapDay for all the kiddies...when were you baptized? 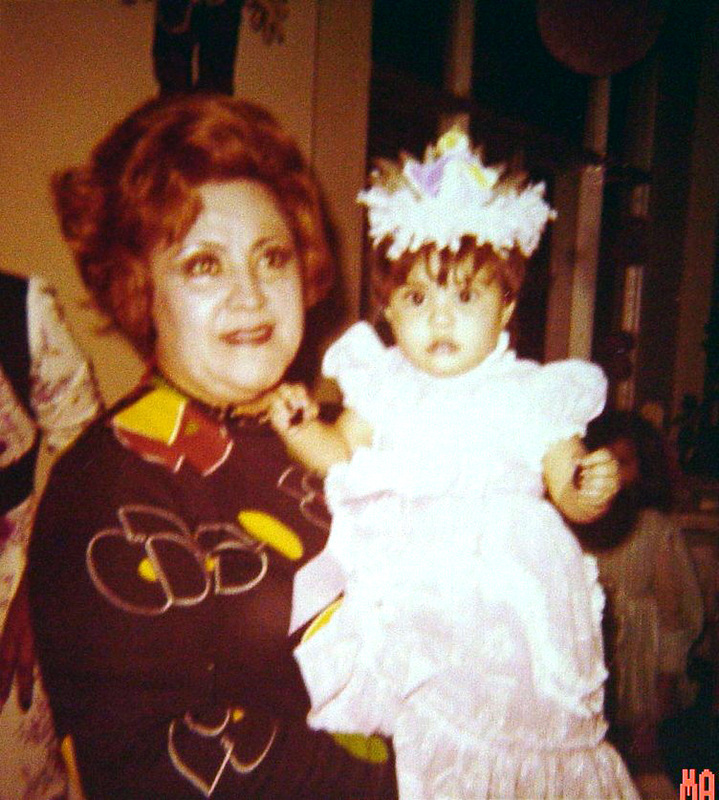 I was baptized December 1974....at a year old! This is me with my beautiful godmother at my first birthday (sorry no baptism pictures most of my albums stayed behind in Nicaragua). DS#2: with his godparents and the new gown we got to start a tradition with him. DS#4: with his godmother just a couple of weeks ago! DD#1: With her godmother, Father Fishwick, and her big brother the altar boy. We will add their printed Baptism picture to our Family Altar. We will place their Baptism candle in a holder like this one (any holder for taper candles will do, I'm certain I've seen them at the Dollar Store) and then light the candle. Remember this, [Your Child's Name]. I also found this document containing tons of prayers for everyone that was involved in the Baptism. Get a Baptism Anniversary card (or make one). And what's an anniversary without a delicious dessert? So the child's favorite dessert is what we will do, if the child is old enough to help make it, it will be their special time with mommy or daddy making it! I would love to do this with my godchildren as well, at least the mailable parts as all of my kiddies live in Florida! Want more ideas? I found this lovely list that you might want to take a look at and pick what fits your Domestic Church best. Can you name all the dates of your kids baptism? That's my goal to be able to rattle them off just like their birth! "Bless, O Lord God, this creature chalk to render it helpful to your people. Grant that they who use it in faith and with it inscribe upon the doors of their homes the names of your saints, Caspar, Melchior, and Balthasar, may through their merits and intercession enjoy health of body and protection of soul. Third, we then used the chalk to write "20 + C + M + B + 11" over the door of our house. 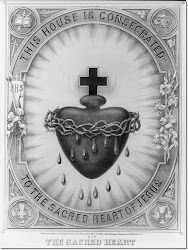 It represents the year, and the blessing "Christus mansionem benedicat" (May Christ bless this house). The four crosses represent each season of the year.The letters represent the traditional names of the Wise Men: Caspar, Melchior and Balthazar. So basically, it's 20 for 2011, C M B for the three kings, and 11 for 2011. Fourth, we sang "We Three Kings"
Finally, we baked a delicious Three Kings Ring. 1. Mix dough ingredients together and then turn out onto a lightly floured surface and knead until smooth and supple, about 8 minutes. 2. Roll dough into a ball and put in lightly oiled bowl and cover and let rise until doubled in volume, about an hour. 3. When dough has risen,take out and roll into a 15 x 10 in rectangle. 4. Brush dough with the softened butter and top with the sugar/cinnamon and raisin filling. 5. Now roll the dough into a long cylinder. Place it on the baking pan, seam down. Bring the ends together to form a ring and pinch the ends together to seal it. 6. Using a sharp knife make 12 slashes in the top of the dough all the way around (represents the 12 days of Christmas). 7. Cover the dough and let rise again until doubled in size, about another hour. 8. When ring has doubled place in oven preheated to 350 degrees and bake for 35-40 min or until bread sounds hollow on bottom when tapped. If necessary loosely cover with foil at end to prevent overbrowning. 9. When done remove from oven and drizzle with the orange icing. (I also put some colored sprinkles on mine). You may also hide a coin or bean in the dough before baking ( I used a coin) and the one who finds it is "king/queen" for the remainder of the day. That's it! Not only was it Liturgically sound but it was yummy! What did your domestic church do to celebrate the Feast of the Epiphany? 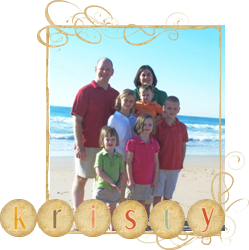 I am Kristy, a stay-at-home Catholic mom of five wonderful blessings. Before I became a stay-at-home mom I was an artisan bread baker and still love making breads/cakes/cookies for family and friends. My other big hobby is genealogy research, I love researching my family tree and helping others research theirs. 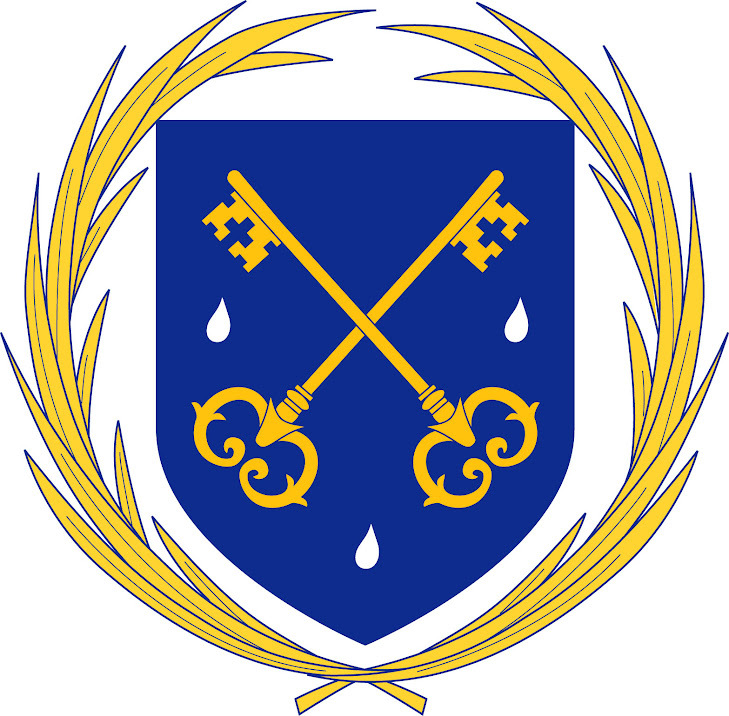 I was raised marginally Lutheran in Connecticut by parents who had been cradle Catholics. In 1994, I met my future husband, Carl, a cradle Catholic, at college. We weren't very regular churchgoers at first but eventually after the birth of our first daughter in 1999 we found our way back. 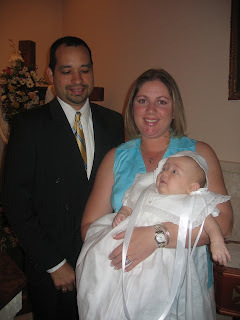 We had our marriage convalidated and I went through RCIA and was received into the Catholic Church at Easter 2004! 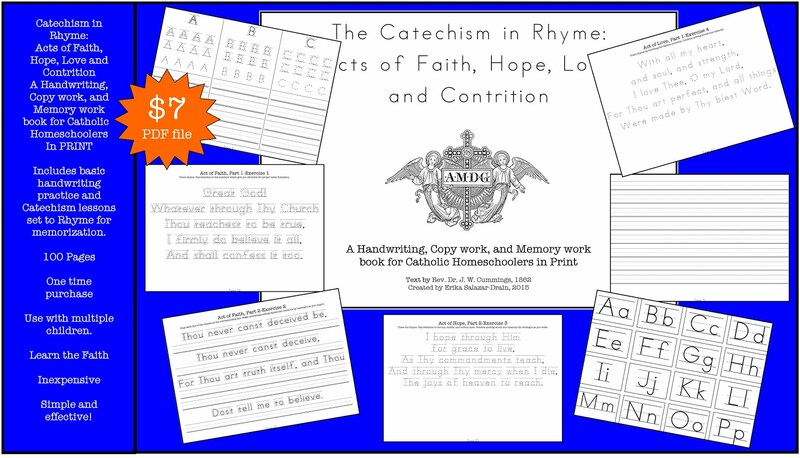 We really enjoy doing special activities throughout the Liturgical year and sharing the richness of the Catholic faith with our children and I look forward to being able to do even more once I have the freedom that homeschooling will allow. I had thought about homeschooling in the past but it wasn't until God showed me that it was possible in the form of a chance park encounter that I seriously considered it. Last summer, as the kids played at an area park I struck up a conversation with Erika and to my delight discovered that she was a fellow Catholic (rare in these parts! ), had five children (even rarer! ), and that she homeschooled them. We hit it off right away, almost like we had always been close friends. It was suddenly like a light went on and I thought here is this sweet, faithful woman of five who can do this and still remain happy and sane, maybe I can too? So I started researching it and talking to other homeschoolers and now I feel confident that it is the right path for our family. I am sure that it will not be without its setbacks but I am confident that God will give me the grace I need to be successful. I look forward to embarking on the adventure this fall and sharing its trials and triumphs. Please keep our family in your prayers as we begin our homeschooling journey! God bless you all and Happy Feast of the Baptism of the Lord! I've prayed for months about asking for bloggers for RLS, and "ask and you shall receive!" 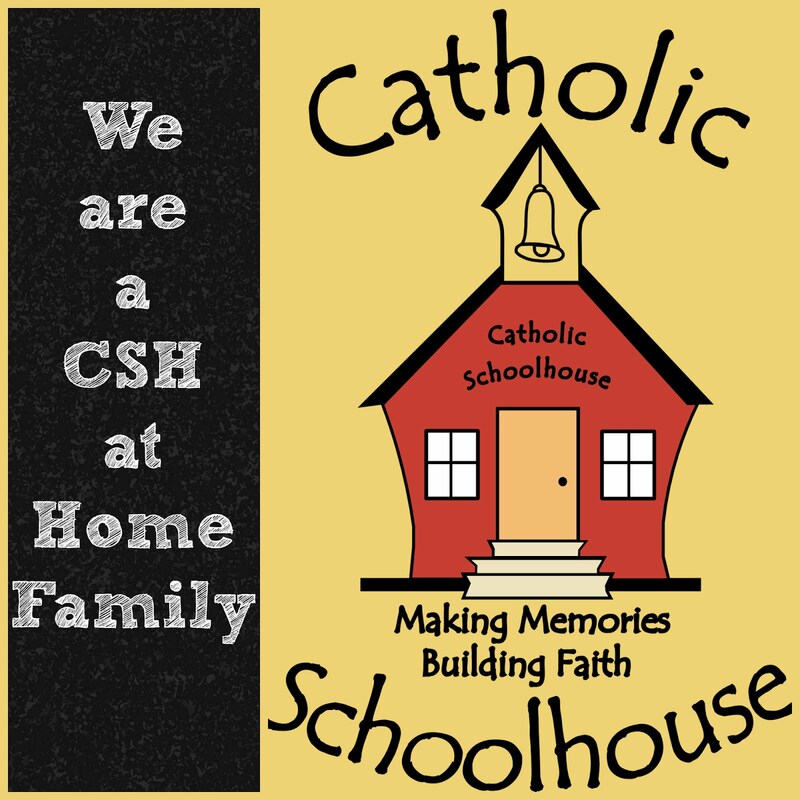 You've met Cristina...soon you will be meeting two other Catholic Homeschooling Mamas that will be sharing their journeys with us as well. I'm so excited!!! Can't wait to have it all ready for you!!! (can you tell how excited I am?) The power of prayer never ceases to amaze me! Thank you, Lord! I love doing the laundry, really! For as long as I can remember, I have hated, yes hated, laundry. When I was a child, growing up in Costa Rica, my mother would make us fold and put away all our clothes. The laundry basket would sit in my room for days just staring at me. When I left for college, the dirty clothes would overflow from my hamper and start filling in the base of what would soon become a mountain of clothes in my room. I used to tell myself that when I got married and had kids I would do the laundry in a timely fashion. Until then, well, there was just no need and definitely no will power allotted to the task. The time came when I did marry and soon enough had my first child. That awful feeling towards laundry did not go away, not even for the love of my child. It was still something I despised and left until the last possible moment. There were always piles of clean clothes on the couch in our apartment. The background of most of our pictures at home has laundry baskets or laundry stacks on the furniture! It wasn’t just washing and drying but putting all that stuff away…UUGHH! 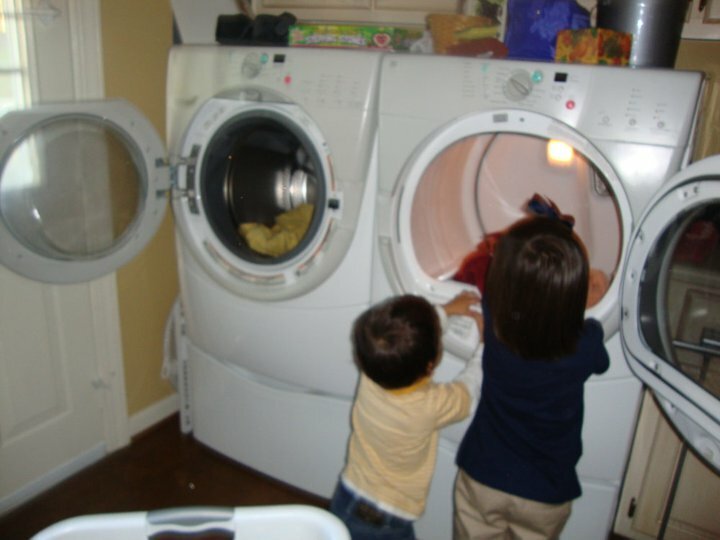 Three kids later, I still had no love for laundry. What a chore!!! Why do we have to do laundry? Why can’t everyone just wear the same outfit every day so I can wash once a week, one load? What?! They did it for centuries and things were dirtier back then. OK fine, that would never fly, especially for homeschoolers. HRS would be knocking at our doors for child neglect or something. Anyhow, all of a sudden, I find myself looking forward to laundry days and really enjoying it every step of the way. What brought about this HUGE change of heart? Recently, I found myself lacking in the prayer department, specifically for my husband and my children’s vocations, their hearts, their character. Our faith is a journey and as walk towards the cross, I find the hidden voids in my heart and begin to work so they are soon filled with things of God. But, with four kids 9 and under, homeschooling, moving twice in two years, packing, unpacking, nursing, changing diapers, keeping a house, keeping a home, constantly doing the ever dreaded laundry, when was I really going to add more time for prayers? I have been asking God for 8 day weeks for quite some time and all I get back is wake up earlier and time manage better. So I embarked on a mission: make my days so efficient that I won’t need that 8th day He keeps neglecting to give me. 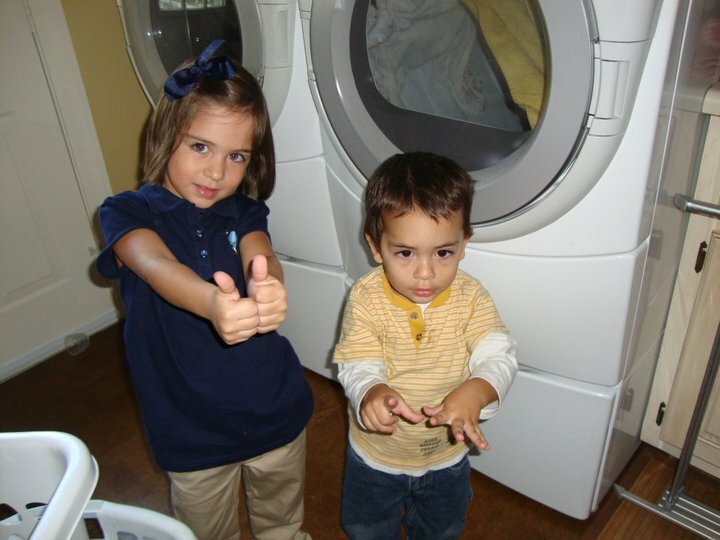 This last October we started homeschooling for the 2010-2011 year. (We are a month behind the regular school year because we moved in September.) We set up new chores for the children, new target time lines for every day. I even started getting up earlier so that I could fit everything that needed to get done in my scheduled piece of paper. When the children saw their new chores and schedules, there was some grumbling and mumbling. And so I began, “Girls, when we do something for the family, we show each other how much we love each other. In doing for each other, we grow as a family. We must see, in all that we do, the opportunity to show God how grateful we are for each and every member of our family.” I continued with the example of myself and my lack of passion for laundry, “for example, when I do the laundry, I take the opportunity to think about you every time I fold one of your pieces of clothing. Every shirt is a prayer, every roll of socks is a memory, every piece is an opportunity for me to thank God for you, because I am so grateful for you.” Yes, there were tears from my super emotional 9 year old and an attempt at tears from my not so e motional 7 year old. However, it hit me like a ton of bricks!!! I don’t know if it did anything for them but for me, my little speech was life changing. So God opened my eyes to the fact that all that extra time I had been wanting to get from Him, he had already given to me. Because I have so much laundry to do for my “large” family I have all that time to pray! For so long my prayer for extra time had been answered and I was just misusing it. I love doing the laundry now. I actually look forward to laundry days and my little sessions with God. With every piece I fold and stack, I have the opportunity to say a prayer for the child that wears it. I pray in thanksgiving for their place in my heart. I pray for their vocations. I pray for their souls, their health, their gifts, their trials, their triumphs. I pray and pray and pray as I fold and fold and fold. It is my time alone with God in the chaos of my life with little children. I also find a lot of time to pray for my husband while I am folding his laundry. I pray for his soul, for endurance, for wisdom in leading our family. I pray in thanksgiving for his promise to love me no matter what. Just this week, my husband was sitting next to me as I folded (no, not helping) and he caught me kissing my 7 year old’s pants that I had just folded. He looked at me and before he could say a word I told him, “I kiss their clothes sometimes so they can wear my kisses all day long. Besides, I just remembered something great she did today and I just had to kiss her.” Yeap, the task that I have hated for as long as I can remember is now my favorite chore because it brings me closer to God and it gives me the opportunity to think about each and every one of my family members individually and be grateful. I know it is a leap to say that everyone will enjoy their laundry if they just change their focus. But like I said, faith is a journey and we are all at a different place in our walk towards the cross. We are ready for the next step at different times in our lives. This step, this extra time of prayer, came at a time when I needed it most. 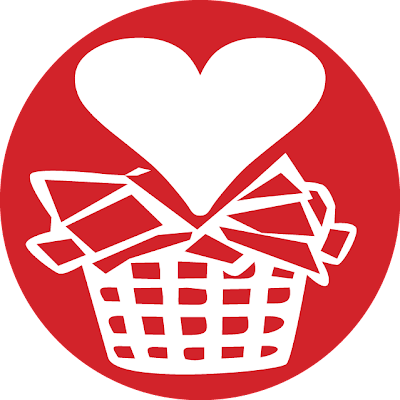 And like my laundry, anyone can turn their most difficult task into a work of love and find so much joy in the sacrifice that it ceases to be a sacrifice. I was born in Costa Rica some 36 years ago. Grew up between the city, the country and the beach, surrounded by siblings and cousins of all ages. My grandmother on my mother's side made sure I made it to Mass on Sundays and often gave me a few coins so I could light some candles. I strayed for a few years but found my way back home after I met my husband and he encouraged me to get back to my roots in the faith. So I have been walking this path, growing in faith for 12 years now and find that every day is a miracle. I went to college in Florida and graduated with a Bachelor's in Hospitality Management. Worked for hotels for a few years in everything from front office to revenue management. I married Christopher in November of 2000 and had our first daughter in September 2001. We switched shifts for her first year until we decided we'd all be better off if I stayed home with her. From that day on, I have been a stay at home mother and loved every minute of it. Yes, even the gross, sticky, stinky, cranky minutes are on my list of minutes I have loved. 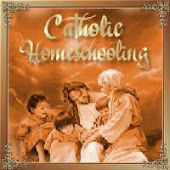 We have homeschooled our children since the beginning and plan, with God's grace, to homeschool them through high school. Three years ago I was diagnosed with two bulging discs in my back, bone spurring and scoliosis. No wonder it hurt so much to carry my children! My old cheer-leading (yes, I cheered in college but none of my girls will cheer, ever!) injuries were taking a huge toll on me. After lots of adjustments and an infinite search for the baby carrier that would allow me to carry my children for as long as possible, I decided to design my own. Now a run a very tiny home-based business at night, after all the kids have gone to bed and all the schoolwork is checked, making baby wraps for moms and grandmas. I love sewing so it works out very well; I sew and make something helpful, wonderful and amazing women use it and feel better. All in all, a great deal all around. 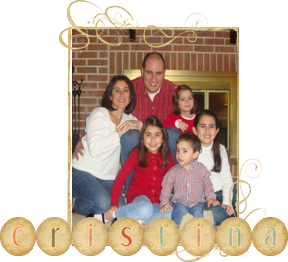 Friends, please leave a comment here, welcoming Cristina to our Raising Little Saints family! God bless you all and Happy Feast of the Three Kings!